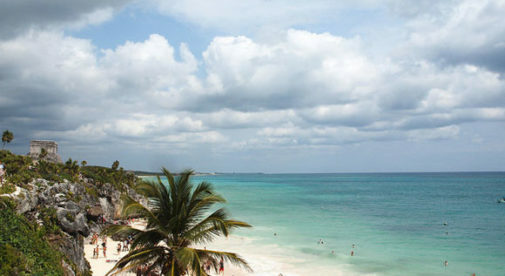 Mexico’s Riviera Maya runs south of Cancun to Tulúm. The sand is white…and the water, turquoise. In the jungle, you’ll find Maya ruins. Offshore, the world’s second-longest coral reef is home to brightly colored fish. The biosphere at Sian Ka’an is a great place to hike, kayak, and study nature. The coral reef offshore attracts divers and snorkelers. Golf, hiking, spelunking in ancient caves…it’s all here. Tulúm is, and will stay, boutique. The Sian Ka’an biosphere means that much of the land is protected. Development will be low rise and low density—that’s if and where it’s permitted. Yet, amazingly, you’re just a 90-minute drive to the airport and two hours in the air to the U.S.
One beach in Tulúm is among the most special places on earth; TripAdvisor users consistently rank it among the top five beaches on earth. Picture-perfect, sugar-white, soft Caribbean sands are backed by palm trees. At night you can sit on a sun lounger and gaze at the bright night sky as the warm waters lap in and out. This beach is still off grid. No wonder the closest luxury condos, five minutes away from here, make for a strong rental opportunity. They’re located in a planned master community. Here, cobblestone walkways look almost white in the bright morning sunshine. It’s absolutely silent bar the breezes rustling through the jungle. There’s free Wi-Fi in this plaza and the interconnecting walkways. This location has something big going for it. The town of Tulúm is bursting at the seams. It’s getting congested. But the center of this master community will be open to the public. Anyone will be able to visit to shop or sip an espresso in the morning sunshine. Five years from now I expect this area will be a major attraction. The demand is already here. And it’s just getting started. I stayed in a condo in this location. The owner told me he pockets $25,000 a year from renting it when he isn’t using it. Down the street from where I stayed, a stunning new condo building is set to be released. There, you can buy a luxury new condo from the low $180,000s. This condo could kick off an annual income of $25,000. And my money is on rising rental rates and occupancy. 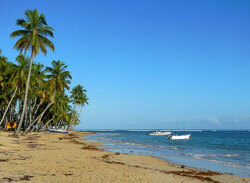 Las Terrenas on the Dominican Republic’s Samana Peninsula boasts 19 miles of stunning walkable, public beach. Las Terrenas on the Dominican Republic’s Samana Peninsula boasts 19 miles of stunning walkable, public beach, palm trees, warm breezes, and stars so bright it feels like you could pluck them from the sky. It’s a laid-back, cultured getaway. In town, behind and between the palm trees, are chic cafés and restaurants run by French and Italian expats. Round the point and you’ll find Playa Bonita (literally meaning “beautiful beach”). Because this beach is hidden by the point, it’s much quieter than the beaches you’ll find elsewhere in town. I can’t think of a nicer place to have a beach home. You’ll find your dollars stretch here, too. For example $180,000 buys you a luxury two-bedroom, two-bathroom condo of 1,100 square feet. Condos like these can rent for up to $250 per night in Las Terrenas. Direct flights now come from JFK (as well as Toronto) to El Catey airport 25 minutes away. And, a new (excellent) road means that Las Terrenas is only an hour and 45 minutes from the capital, Santa Domingo. The rental market is strong. There’s almost year-round demand from Europeans. Wealthy Dominicans (of which there are many) flock here, too, for their vacations and during the big Latin holidays like Carnival and Easter. Canadian snowbirds come to escape their harsh and long winter. You can see why there is rental demand by the night, week, month, and year. And demand is especially strong for high-end rentals like the condos I’ve told you about. But, there is a better way to maximize your rental yield than the type of shiny new condo I tell you about above. In town you could buy a comfortable two-bedroom condo in need of updating for $135,000. You’ll be in the heart of the best in town: beach and restaurants and cafés. When you aren’t using it you could rent it for $100 per night. Rent 100 nights a year (very achievable) and that’s an annual gross income of $10,000. 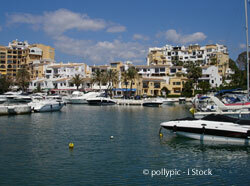 The rental market in places like the luxurious Puerto Banús on Spain’s Costa del Sol is strong and getting stronger. The luxurious Puerto Banús sits on the eastern fringes of Marbella. This is where you find the jet set. A mooring for your super yacht will set you back seven figures here. Buy a mooring and you get to drive your supercar through the port area. This is one of those international places that does well no matter what’s happening in Spain or the world. Gucci, Chanel, and Rolex have all set up shop here. There are also plenty of excellent and reasonably priced port-fronting cafés and restaurants. A six-minute drive inland brings you into the luxurious golf valley and towards Nueva Andalucia. Here it’s quieter and very charming. Residential streets are lined with swaying palm trees. There are neighborhood cafés and restaurants for al fresco dining on every corner. Luxury villas and condo communities line the streets. You won’t see any abandoned construction projects here. This is as blue chip as it gets. And the rental market is strong in communities like one I discovered earlier this year. The properties I’m talking about are condos, too, in the same community. At first glance you’d think they were village townhomes. But, each building is divided into a first floor and penthouse condo each with its own entrance. Phase one and two of this development sold out fast. Then, the developer started construction on phase three. He planned to sell completed units. He didn’t want to sell pre-construction. The market was so hot he wanted to lock in any pre-construction gains for himself. Construction was completed in 2008. (You can probably guess where this is heading.) As Spain—and the world—spiraled into crisis there were no buyers at €345,000 ($475,000) (including parking space) for these condos. The developer failed. His bankers took over. These condos recently listed for €129,000 ($177,640)—and one of them could be quite the little earner. The rental market here is strong and getting stronger. Rent one of these condos long-term and you could expect to earn €900 ($1,239) a month. Or focus on short-term renters and you see income of €750 ($1,033) per week. There are plenty of long- and short-term renters. Your long-term renter might be a Ferrari salesperson, a hotel worker, or someone who works in the private banks three minutes away. A short-term renter would be a vacationer. 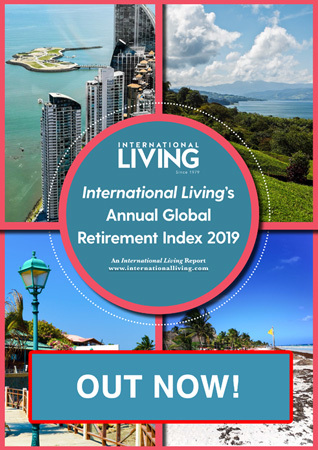 And, because of the location—the Costa del Sol enjoys 320 days of sunshine a year so people want to vacation here—your short-term rental season is almost year around.